SAN DIEGGO–The San Diego County Health and Human Services Agency is working with Bonita Vista High School officials to alert students and staff to be aware of the symptoms of meningococcal disease after a member of their school community was diagnosed with the disease. The previously healthy person is currently undergoing treatment at a local hospital and is expected to recover. HHSA has identified all close contacts of the ill person for preventive antibiotics. Antibiotics are not being recommended for others at the school who were not close contacts. Symptoms may include fever, intense headache, sensitivity to light and noise, stiff neck, and/or a rash that does not blanch under pressure. Anyone who develops any of these symptoms should be evaluated immediately for possible meningococcal disease by a health care provider or at an emergency department. 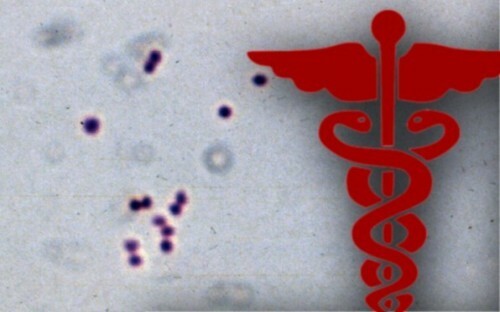 There is no apparent connection between this case and the outbreak of meningococcal disease at San Diego State University that caused three cases in undergraduate students there in 2018. A total of 12 meningococcal cases were reported in San Diego County residents in 2018, and this is the second case reported in 2019. Meningococcal disease is caused by a bacterium called Neisseria meningitidis. It is spread from person-to-person by close contact. In most people, the bacteria can exist in the mouth and nose and cause no symptoms. However, the bacteria can cause serious and potentially life-threatening disease, generally by causing meningitis (an inflammation of the tissues covering the brain) and/or bloodstream infection. Meningococcal bacteria are not spread by casual contact. The bacteria are spread through close contact with the ill person, such as living in the same household or sharing oral secretions, such as kissing or sharing drinking glasses, eating utensils, smoking materials or vaping equipment, water bottles, lip balm, lipstick, etc. To reduce the spread of these bacteria and the viruses and bacteria that cause other diseases, it is recommended that students always avoid sharing these items. Vaccines are available to prevent some strains of meningococcal disease. There are two types of meningococcal vaccines available in the United States. Meningococcal conjugate vaccines protect against the serogroups A, C, W and Y strains while the recombinant vaccine protects against meningococcal B. Both are two-dose series.